Acroname produces high-quallity, fully-tested and warrantied industrial USB hubs; optimized for manufacturing and development environments. 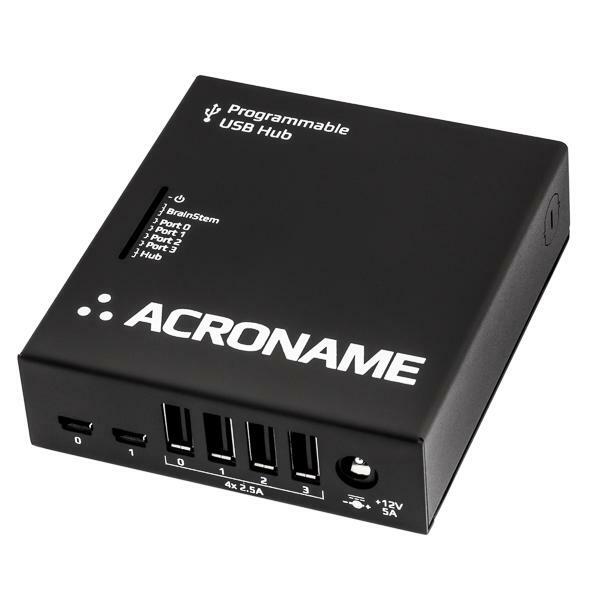 These hubs feature full programmability with both a host PC interface and an embedded, real-time operating system (RTOS) by integrating Acroname's powerful BrainStem® technology. With simple APIs in C++, Python and LabView, both hubs can enable/disable data-lines, power lines or full ports. Each port of the hub can measure current and voltage, control current limits, detect enumeration, change upstream port connections and much more. The USBHub2x4 and USBHub3+ are just two examples of how Acroname is shifting the functional test paradigm and tools available to manufacturing test engineers. 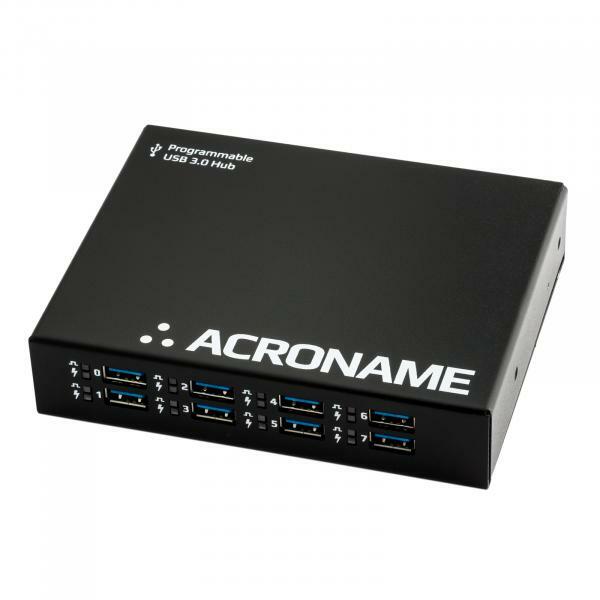 With unprecedented control, programability, rugged design and unparalleled support, Acroname USB hubs are the only choice for USB hubs in production environments.